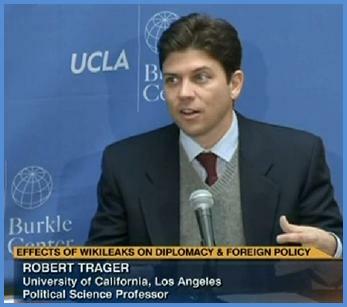 Robert F. Trager is an associate professor of international relations in the political science department at the University of California, Los Angeles. His research focuses on how states form beliefs about the intentions of other states, and in particular on the role of diplomatic communication; how public reactions structure the incentives of political leaders in the international system; how fairness heuristics influence preferences and equilibrium selection; and a variety of other topics. Professor Trager’s first book, Diplomacy: Communication and the Origins of Perception is under contract with Cambridge University Press. He is currently at work on a second book on the ways that fairness norms influence the construction of conflicts and a third project on the evolution of cultural norms among competing groups. His work has also appeared in journals such as the American Political Science Review, the American Journal of Political Science, the Journal of Politics, International Organization, International Security, Security Studies, The New York Times, and Foreign Policy, among others. Before joining UCLA’s faculty, Professor Trager taught at Oxford University and held an Olin Fellowship at Harvard University. He currently sits on the boards of the Burkle Center for International Relations and the Institute for Global Cooperation and Conflict and is a corporation member of the Marine Biological Laboratories in Woods Hole, MA. He holds a BA from Middlebury College, an MSc (with Distinction) from the London School of Economics and a PhD (with Distinction) from Columbia University. Prior to graduate school, he worked in investment banking at Lehman Brothers. 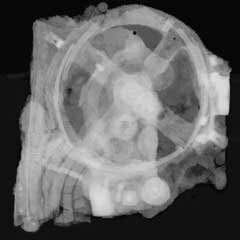 With his wife and daughter, he currently travels a migratory route between Middletown, CT, Los Angeles, CA and Wood Hole, MA.